Brown sugar, cream, and pecans combine to produce delicious pralines that taste like pecan pie. 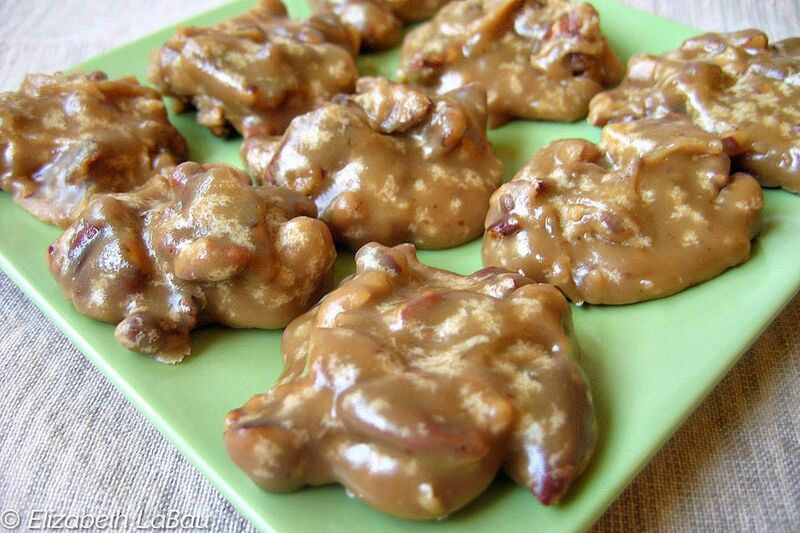 These pralines are a Southern classic. Prepare a sheet tray by covering it with waxed paper. Combine brown sugar and cream in a medium heavy-bottomed saucepan over medium-high heat. Stir with a wooden spoon until sugar is dissolved, then do not stir anymore. Insert candy thermometer and boil until the sugar reaches 240 degrees (soft-ball stage). Remove from heat and stir in vanilla. Continue to stir until mixture thickens and becomes opaque. Stir in all pecans, and drop by teaspoonfuls on prepared sheet tray. Allow to cool completely at room temperature before removing from waxed paper. Click Here to View All Praline Candy Recipes! How to Make Pralines with Pudding!